Welcome to De L'Europe.When your guests arrive at our Five Star Deluxe hotel, they enter a world of luxury and splendor. This is evident not only in the gracious lobby where Dutch Master paintings are on display, but also in the elegant décor of all newly restyled and renovated rooms and suites. The original Rondeel building of De L'Europe, re-opened its doors in July 2011, after a 15-months long and €60 million-worth renovation. The timeless architectural elements of De L'Europe that date back to 1896 are fused with 21st-century comforts in each of its guestrooms. Furthermore, our recently opened Dutch Masters Wing is an exquisitely-refurbished property that celebrates its history while embracing art and culture. With only 23 suites, each suite is characterized by a replica of a Dutch Master featured in the Rijksmuseum. The impeccable details of each guest room are exemplified by the bold and vintage colors of the Dutch Masters paintings, creating a chic and modern style with authentic touch of the classics. A timeless classic, De L'Europe, has been a long-time favorite among prominent business professionals, politicians, celebrities and socialites for almost 115 years. Our staff takes the pleasure to offering your guests the legacy of discrete, historic-world style and genuine service.Amsterdam is living history – a city that will immediately make you feel at home. Built around a network of stunning canals, you can admire centuries-old houses as well as the most contemporary architectural designs. Amsterdam – a city still cloaking in 17th century splendor, where visions of the golden age meet the 21st century at every corner. Our concierges, who have been elected to represent all Dutch Les Clefs d'Or already twice in a row at a worldwide convention, would be more than happy to assist you with your activities in Amsterdam and all around The Netherlands. We're proud to say that De L'Europe is the first Five Star hotel in Amsterdam to be honoured with the highest award from the internationally recognised Green Key Eco Label. Individual cancellation policy 24 hours prior to arrival. Pet fee at € 35.00 per night. Amsterdam Schiphol Airport is located at 20-30 minutes from Hotel. A transfer per taxi costs approximetaly € 50.00 one-way and private transfer by limousine would be available at € 110.00. Local Shuttle Info: We can arrange private transportation from airport, rate start from € 55 per way. Breakfast at € 42,- per person. Wi-Fi is offered complimentary throughout the hotel. 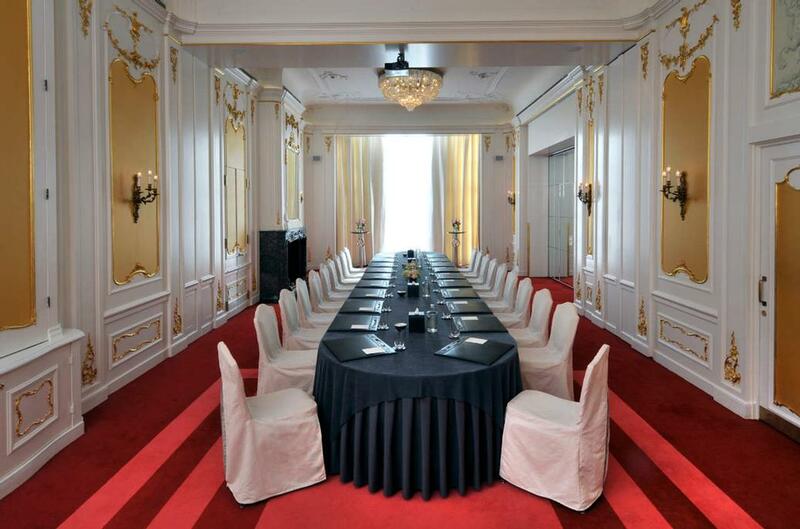 Below are the meeting, banquet, conference and event spaces at De L'europe Amsterdam. Feel free to use the De L'europe Amsterdam meeting space capacities chart below to help in your event planning. 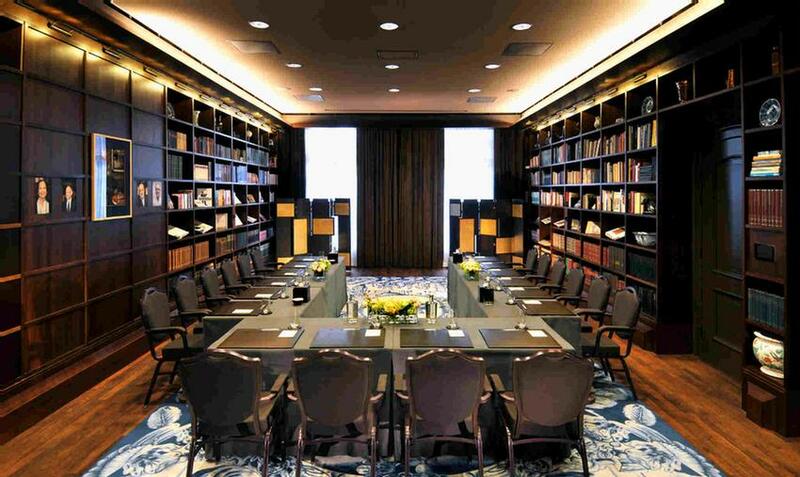 Hotel Planner specializes in Amsterdam event planning for sleeping rooms and meeting space for corporate events, weddings, parties, conventions, negotiated rates and trade shows. 12 x 8 x 3 M.
12 x 7 x 4 M.
14 x 7 x 3 M.
11 x 11 x 3 M.
14 x 6 x 3 M.
7 x 10 x 3 M.